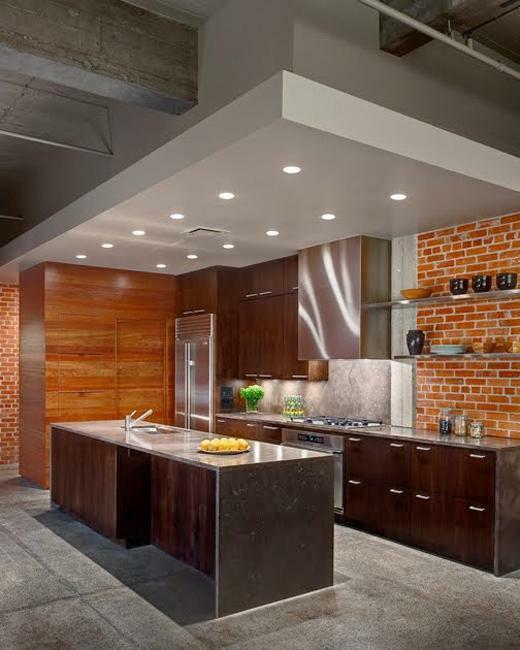 Brick wall texture and pattern are modern interior design trends that create unique modern kitchens with various real and fake brick wall surfaces. 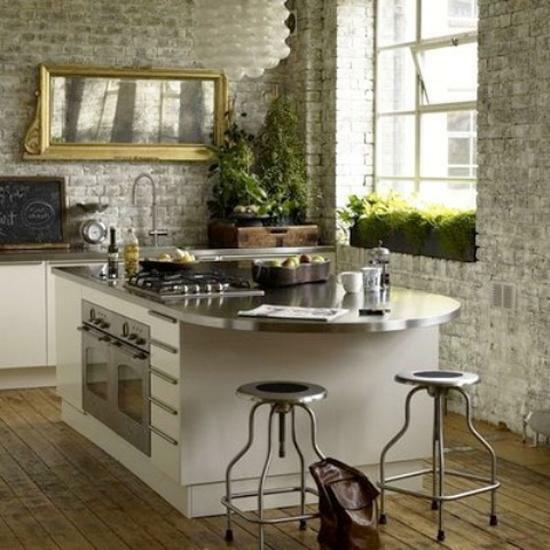 Antique old brick wall and exposed brick wall designs painted white, black or any other color, contemporary brick wall panels, brick wall tile designs and brick wall wallpaper patterns offer numerous possibilities and creative choices to enhance modern kitchens with brick wall texture and pattern. 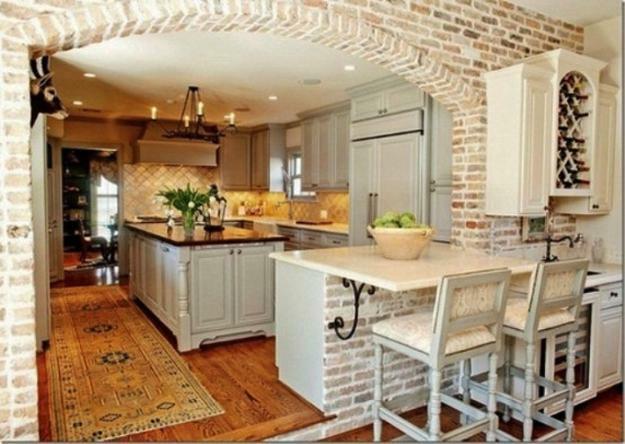 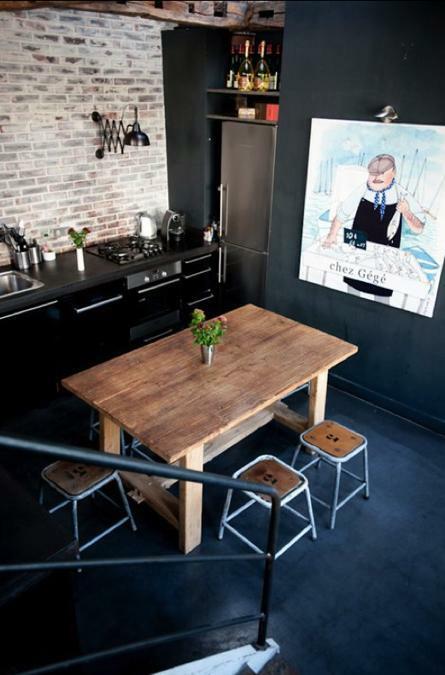 Painting interior brick wall gives a fresh look to old brick wall designs. 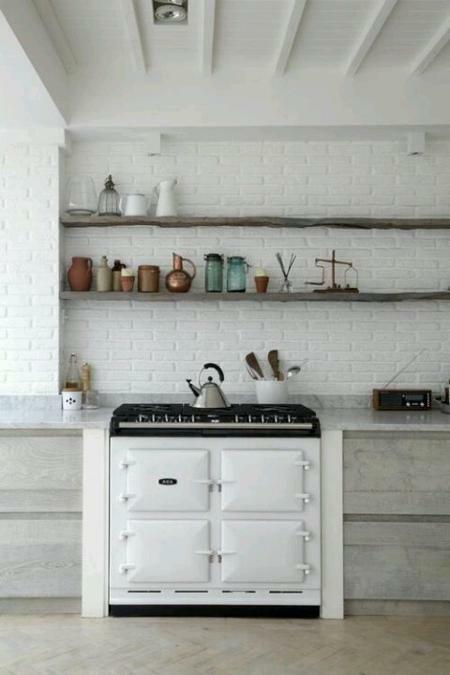 White brick wall looks bright and new. 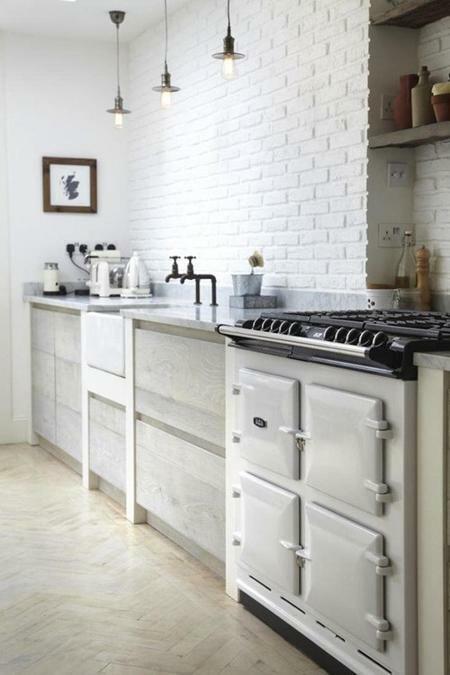 Brushing off the old bricks with a stiff-bristled brush, removing dirt and dust and then applying a paint is an easy way to change your old brick wall design. 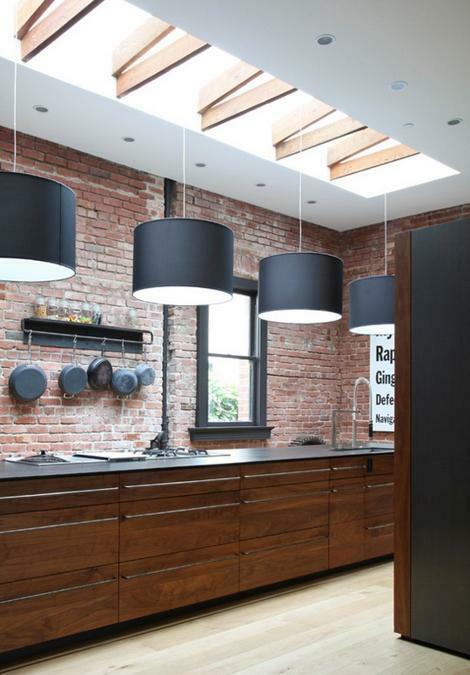 Latex and cement-based paints are great for decorating your old brick wall in a safe and beautiful way. 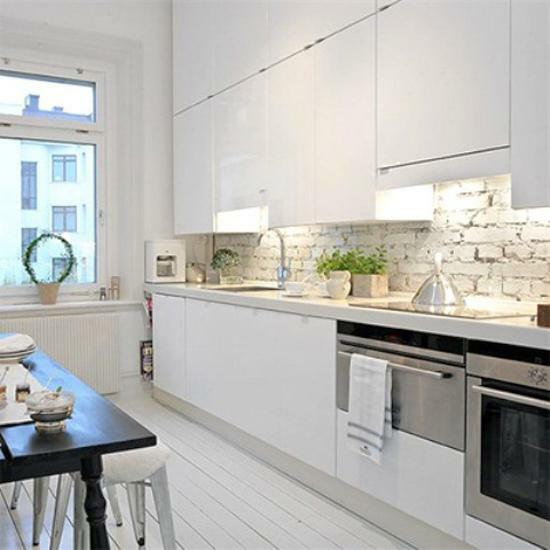 Interior paint colors create wonderful, personalized and original look. 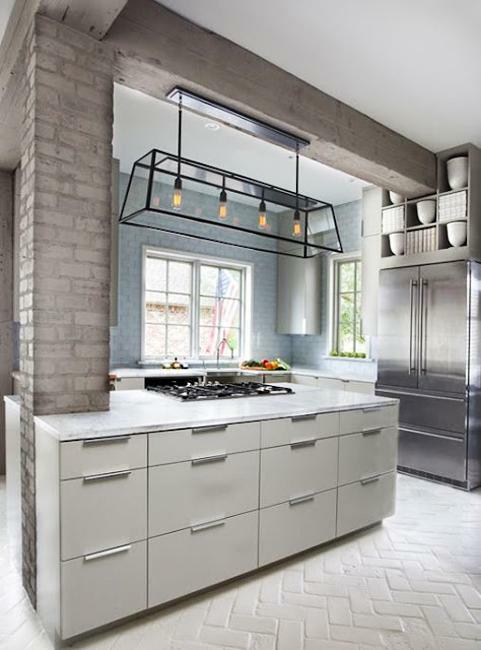 Exposed brick wall designs painted bright or neutral colors make a bold statement and add gorgeous accent walls to modern kitchens. 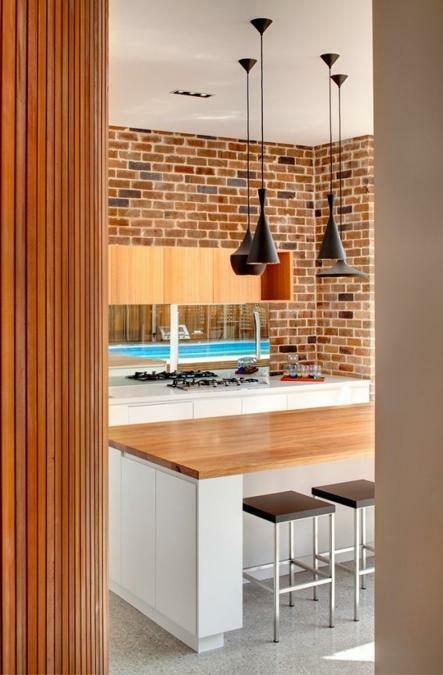 Any decoration patterns can be created on he brick wall background. 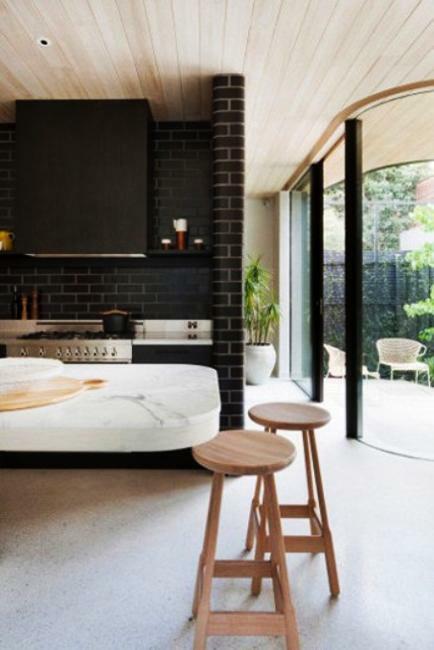 Geometric shapes and floral wall designs, squares or circles look beautiful on painted old brick wall and can attractively blend with your home furnishings and interior decorating ideas. 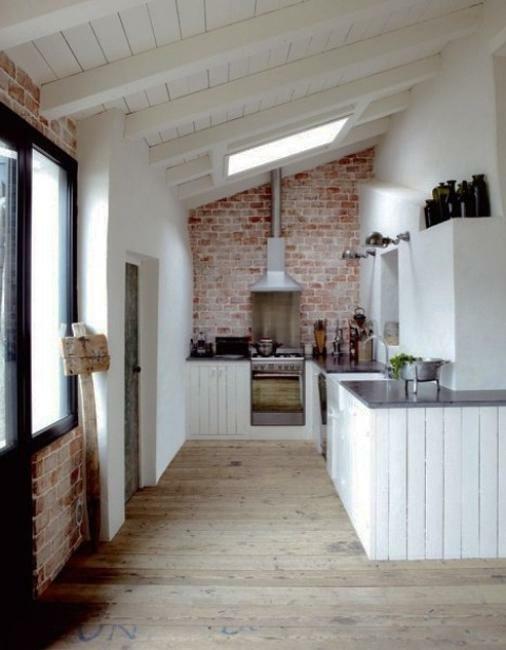 Painting an old brick wall or plain exposed brick wall design with open shelves, contemporary brick wall panels, brick wall tile designs or brick wall wallpaper patterns are unique and stylish ideas for modern kitchens. 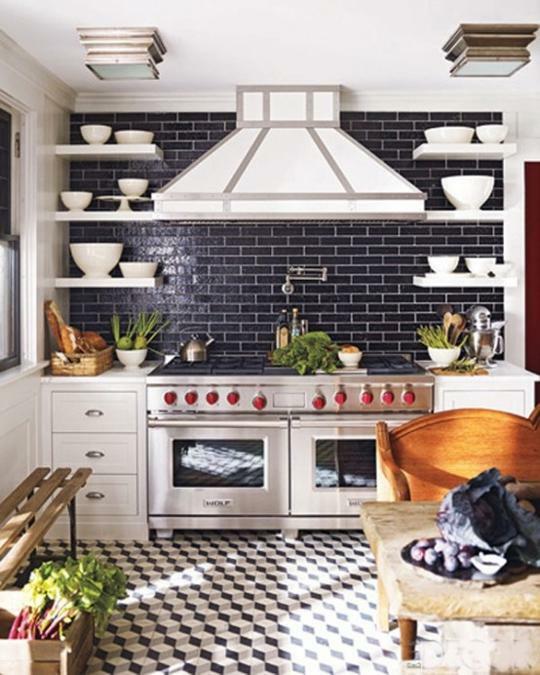 Brick wall wallpaper patterns, brick wall panels and brick wall tile designs are trendy ways to create an original look and decorate modern kitchens in style. 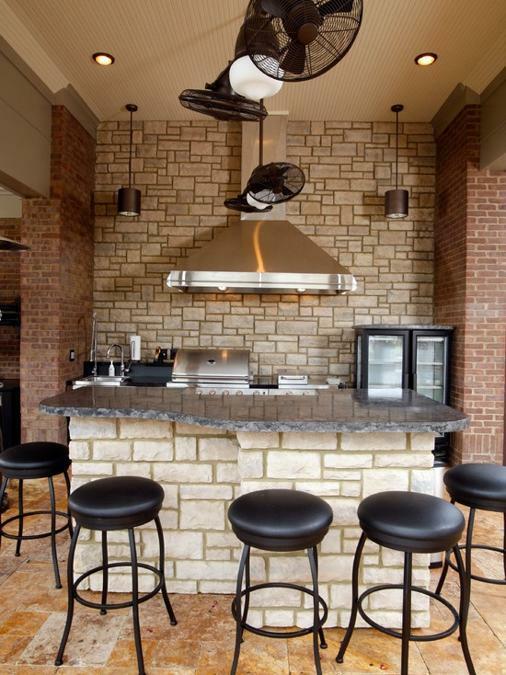 Stone, metal and glass mosaic tile designs can be combined with these contemporary brick wall decoration materials to jazz up old brick wall designs and create fantastic accent walls. 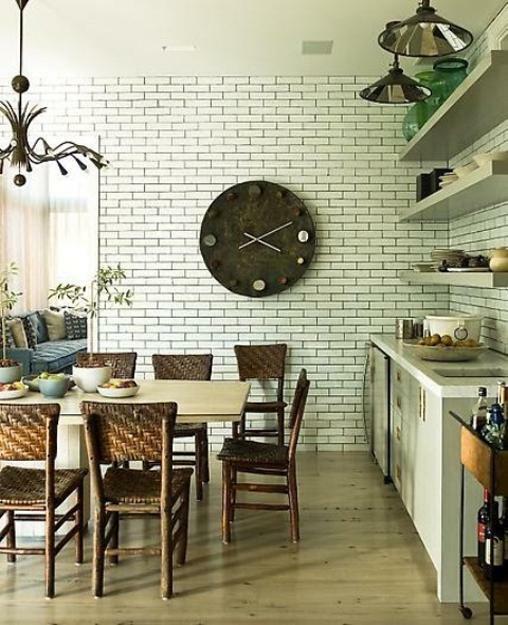 The combination of contemporary wall decoration materials with brick wall texture and pattern add lots of interest to plain interior brick wall designs. 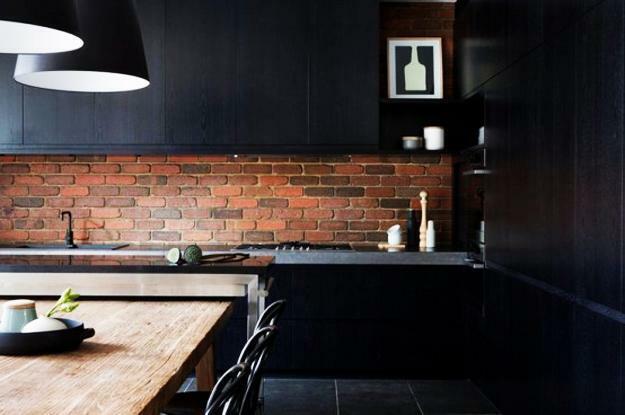 Interior brick wall designs look beautiful with wooden shelves also, creating elegant architectural features that enhance modern kitchens with unique wood and brick wall texture and colors. 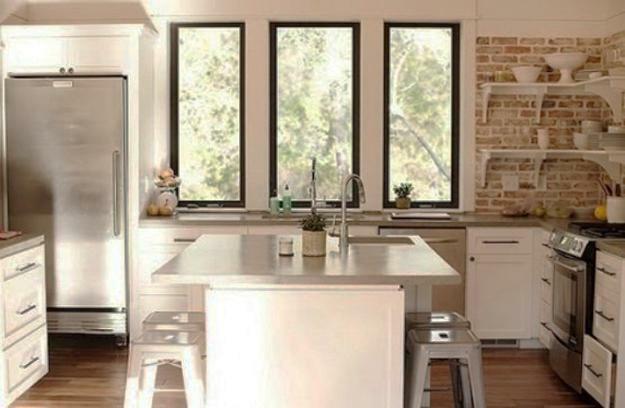 Painting an old brick wall or plain exposed brick wall design with open shelves, contemporary brick wall panels, brick wall tile designs or brick wall wallpaper patterns add a cozy feel and old world charm to modern kitchens. 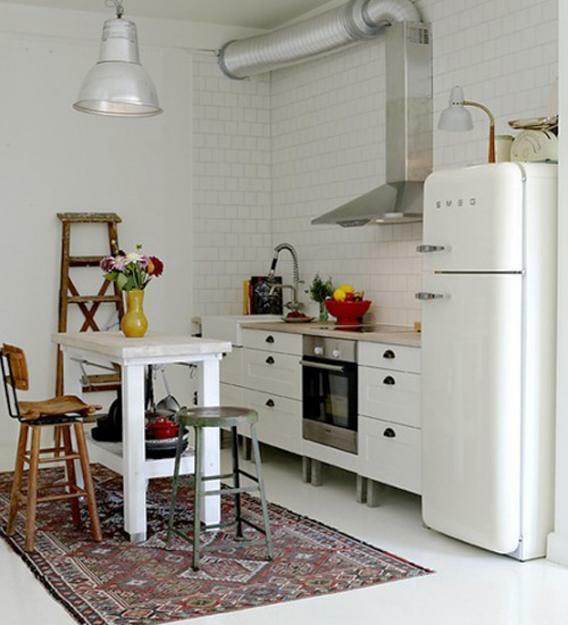 White paint colors on brick walls create a contemporary fresh and bright look. 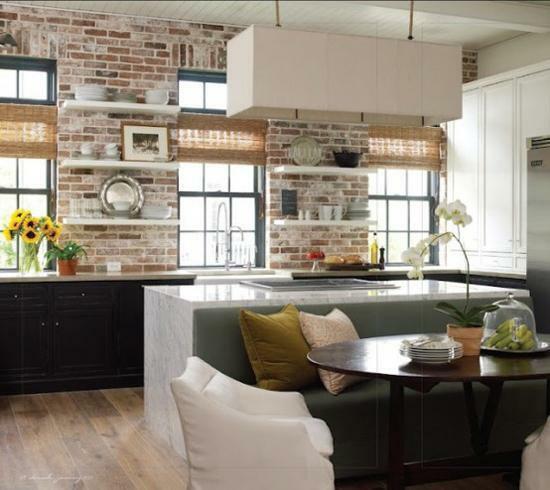 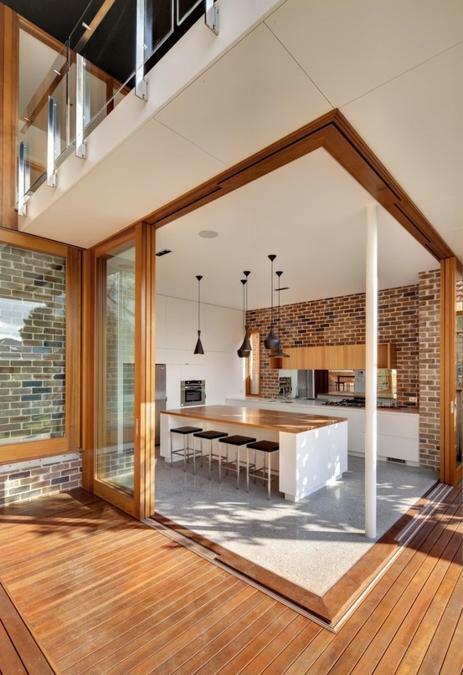 An interior brick wall is a durable and attractive architectural feature that lasts forever, adding a convenient, maintenance-free wall design to modern kitchens and creating beautiful accent walls for interior design and decorating in a fresh, exquisite and unique style. 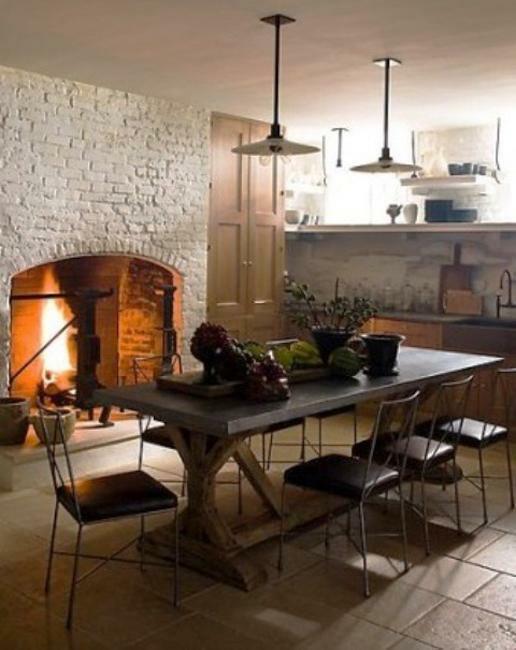 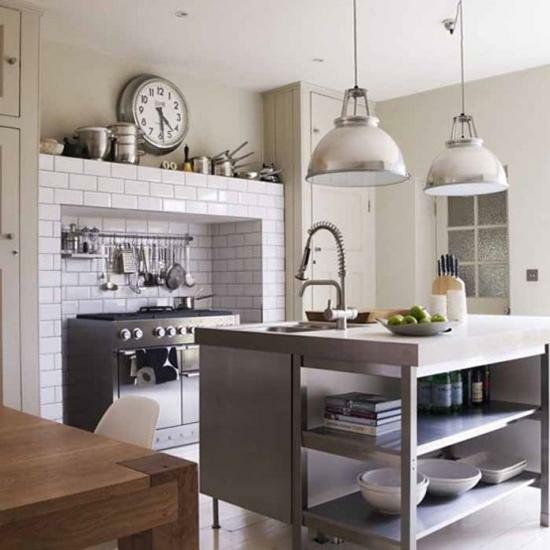 Authentic, high quality brick wall wallpaper creates a stylish old brick wall effect and adds a rustic feel to modern kitchens. 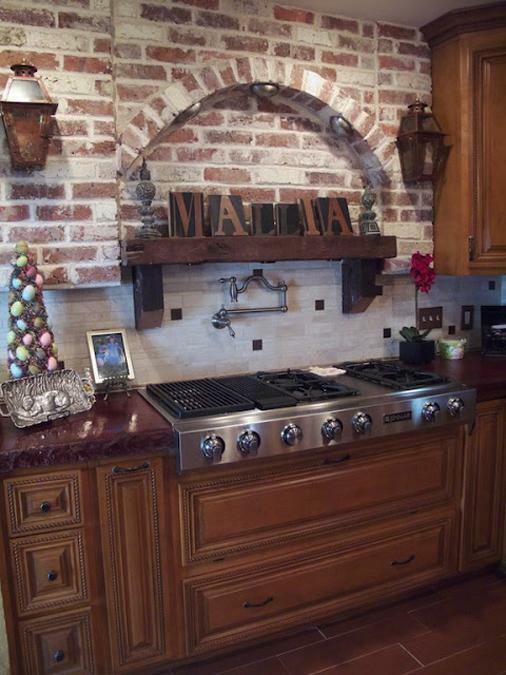 Fake brick wall wallpaper is available in various styles and colors, offering an affordable choice for modern kitchens redesign. 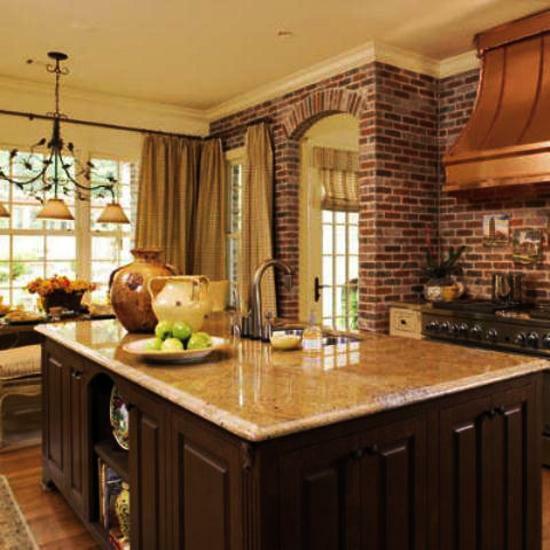 Fake brick wall tiles and brick wall wallpaper patterns look like the real old brick wall, blending the old world beautiful and contemporary technologies into modern kitchen design.